Hospital staff are sending out warnings to patients and their families and asking the patients to come in for blood tests for diseases, including hepatitis B and C and HIV. Up to 12,000 children and young adults treated at Seattle Children’s Bellevue Clinic and Surgery Center since 2010 could be at risk of infection from surgical instruments that may not have been properly sterilized. The hospital is sending out warnings to patients and their families, offering free tests for blood-borne viruses, including hepatitis B and C and HIV, said hospital Chief Executive Officer Dr. Jeff Sperring. Sperring said the problem has been corrected, and current patients at the Bellevue clinic face no danger. The lapse was discovered this past Thursday, when staff examined some instruments that should have been clean but had tiny amounts of “debris” on them, said Dr. Danielle Zerr, medical director for infection control. “The evidence that there were problems was actually very subtle,” she said. Standard cleaning procedures include manual washing, followed by multiple sterilization steps, she explained. All of the high-temperature sterilization equipment was working and reached the proper temperature for the proper amount of time. The problems were in the manual-washing process. The instruments involved are used in procedures ranging from ear-tube insertion to orthopedic surgeries. None of the procedures offered at the Bellevue clinic is complex enough to require an overnight stay. 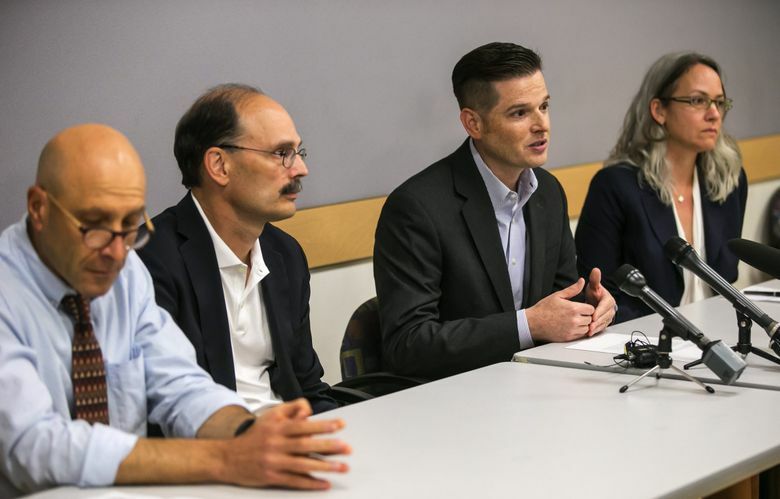 That the final, steam sterilization was performed properly greatly lowers the chance that any microbes could have survived, said Health Officer Dr. Jeff Duchin, of Public Health — Seattle & King County. Also, the incidence of blood-borne infections such as hepatitis and HIV is low in children, so the odds of an instrument being contaminated is slight to begin with, Duchin said. It’s not clear how long the problems existed at Bellevue. So administrators are assuming that anyone who received a surgical procedure there since the clinic opened in 2010 might be affected. This is the second time in two years that Seattle Children’s has alerted patients about problems with sterilizing surgical equipment. In January 2014, the hospital notified about 100 patients that colonoscopes used on them might not have been properly cleaned. None of those patients came down with an infection, Zerr said. The hospital reviewed its instrument-handling procedures after the 2014 incident, but not in Bellevue. “We’re investigating now why that process did not extend to the Bellevue campus,” Zerr said. Sperring said the hospital plans to wrap up its investigation this week. Affected families should start receiving notices in the mail early next week. Parents and patients may call this number if they have questions: 1-855-855-8460.